PARIS – Governments throughout the world spend astronomical sums to subsidize coal, oil and gas, and heavy sponsorship of the worldwide oil industry is slowing the its shift to renewable energy, experts told Bellona today at the Paris climate summit. PARIS – Governments throughout the world spend astronomical sums to subsidize coal, oil and gas, and heavy sponsorship of the worldwide petroleum industry is slowing the shift to renewable energy, experts told Bellona today at the Paris climate summit. 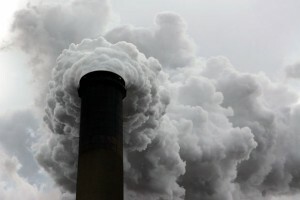 Christiana Figueres, executive secretary of the UN Framework Convention on Climate Change (UNFCCC), has signaled she would welcome fossil subsidy slashes, as more evidence that millions die premature deaths annually thanks to fossil fuel pollution mounts. The subsidies that prolong world-wide dependence on oil, coal and gas likewise thwart efforts to introduce wide scale use of climate friendly renewable energy by siphoning off funds, said experts here. 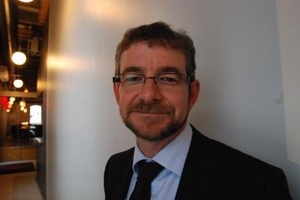 “When governments provide subsidies to coal, oil and gas, that holds renewable energy back,” said Peter Wooders of the International Institute for Sustainable Development (IISD) speaking at a gathering hosted by Bellona and CICERO at their pavilion at the COP21 Paris climate negotiations. Wooders surveys the world’s fossil fuel subsidies and what consequences they bring to bear on the economies of individual countries. He concluded these subsidies have a negative impact on the development of renewable energy. When states undertake subsidies for the coal or petroleum industries, or provide consumption subsides for gasoline, it keeps the prices of these commodities artificially low. This allows greenhouse gas producing sources of power to to outcompete manufacturers of renewable energy infrastructure like solar, wind, and hydroelectric power. “One man’s subsidy is another man’s incentive,” said Wooders. The Bellona seminar brought together participants from 15 nations and five different continents. COP21 is already seeing a push to get a discussion of fossil fuel subsidies on the agenda for next year’s G20 meeting in China. This goal seems all the more realistic as a coalition of 40 governments and hundreds of companies, represented by New Zealand’s Prime Minister John Key, gathered yesterday at the Paris conference to discuss ending subsidies and tabled a recommendation for their end, the NBR news portal reported. The Friends of Fossil Subsidy Reform Communiqué was presented by Key to UN climate chief Figueres. 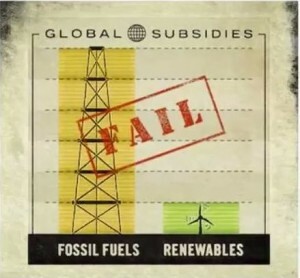 According to a statement from coalition nations endorsing The Friends of Fossil Fuel Subsidy Reform, governments worldwide spend some $500 billion annually to keep their domestic oil, gas, and goal prices artificially depressed. Removing these subsidies would free up needed funding for governments to spend on renewable energy, health care and education. fuel subsidy reform as a key component of a set of energy measures to combat climate change and estimates that even a partial phase-out of fossil-fuel subsidies would generate 12 percent of the total abatement [of greenhouse gases] needed by 2020 to keep the door open to the 2°C target” temperature rise, reads the Communiqué, in part. 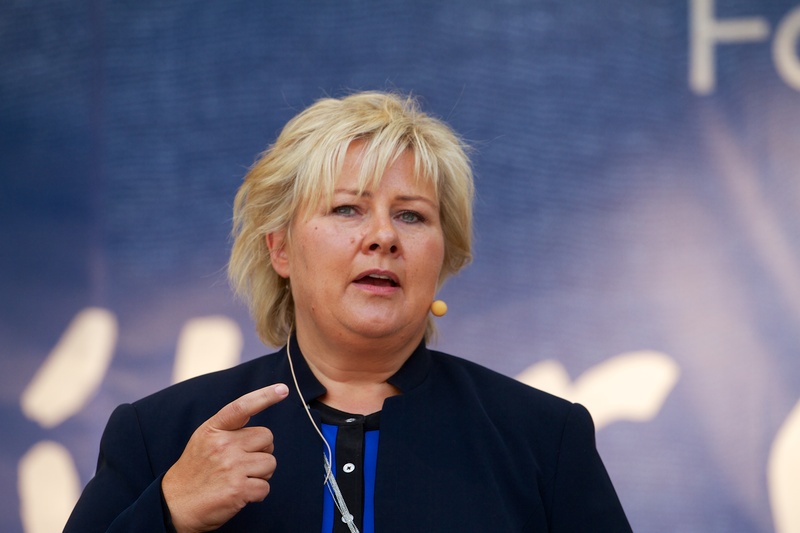 Norway’s Prime Minister Erna Solberg was among those national leaders who met to work for an end to subsidies, and Norway is among the nations that endorsed the Fossil Fuel Subsidy Reform Communiqué. But Norway has its own particular arrangements with the oil and gas industry. Among other schemes, oil companies are given a huge boost by not having to pay taxes on large portions of their income. Additionally, depreciation on the continental shelf are far better than on land-based drilling installations. Further, the Norwegian state bears all costs for oil research, seismic exploration and infrastructure for the oil industry. 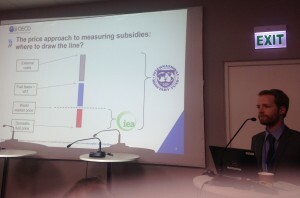 “A majority in Parliament are in agreement on the current tax system in Norway,” said Jens Frølich Holte, a political adviser to the Norwegian Climate and Environment Ministry, who attended today’s Bellona seminar. But he also said he welcomed the strong signals from Figueres that subsidies should end. How much is big oil getting? According to a report by Earth Track, a group that monitors fossil fuel subsidies worldwide, Norway spends $4 billion in subsidies for upstream oil and gas activities annually, according to 2009, the latest year for which figures are available. The United States – which like Norway also endorsed the Fossil Fuel Subsidy Reform Communiqué – bears no less responsibility for underwriting the oil industry’s costs and giving it huge breaks at taxpayer expense. According to Oil Change International, a US group that works to uncover the hidden costs of fossil fuel recovery, annual US fossil fuel subsidies range from $10 billion to $52 billion. But Oil Change International says it doesn’t stop there: Not included in these totals are costs borne by US taxpayers related to the climate and the local environment. As of July 2014, the group estimates US fossil fuel subsidies to stand at $37.5 billion annually, including $21 billion in production and exploration subsidies. And how many are dying from subsidies? These totals only begin to include the staggering health impacts and health care costs associated with breathing polluted air. On the day the Paris summit began, the Copenhagen-based European Environment Agency, Europe’s environmental watchdog, released a report saying that air pollution continues to be responsible for more than 432,000 premature deaths per year in Europe alone. A September study released by the World Health Organization in the American science journal Nature said more than 3 million people across the globe die prematurely each year from prolonged exposure to air pollution – a figure the WHO said could reach 6.6 million by 2050. Still, according to Michael Lazarus, director of the US Center at the Stockholm Environmental Institute, President Barack Obama has worked hard since 2010 to cut oil production subsidies. But even that, said Lazarus, is not without its booby traps. And, whether countries decided to build oil fields or not has a significant impact on CO2 emissions. 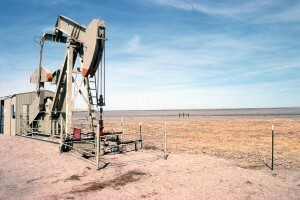 Jehan Sauvage, an analyst with the 34-nation Organization for Economic Cooperation and Development said that tax expenditures cover some 60 percent of fossil fuel production. 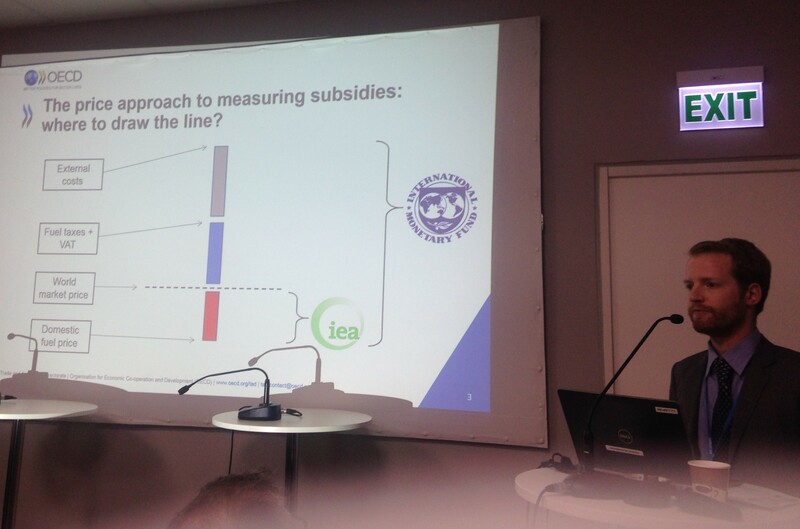 Sauvage cited several examples of fossil fuel subsidies from countries both within and outside the OECD. Australia supports railway capacity to export coal. Canada provides tax credits for drilling, roads and pipelines. China subsidizes the extraction of shale gas. Spain provides aid to the private coal industry, and the government compenses for purchase price shortfalls – a program Sauvage said would be phased out by2018. The UK priovides whole oil fields to the industry, and the US recently intruduced a tax deduction of $8 per barrel of imported oil.